Snow peas are an amazing spring vegetable. They are a hardy plant that grows easily, tastes delicious, and preserves well. Snow peas are a great vegetable for the beginning gardener because they are so easy to grow but they're also a great way to break into seed saving. The blossoms are pretty too and the peas come in shades of green and purple. If you're thinking about adding them to your garden this year here is a guide to growing and snow peas. 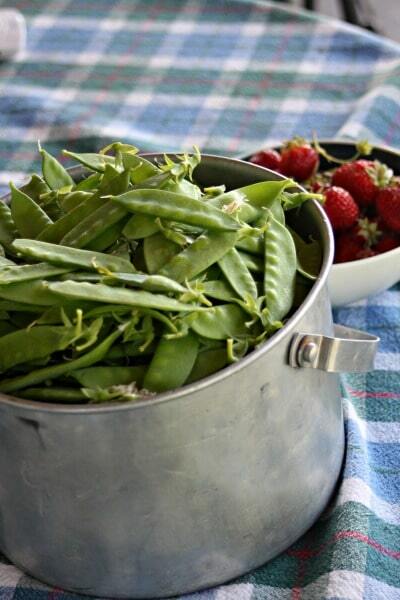 Plant snow peas in the ground as soon as it can be worked in the spring. Most will need a trellis or support of some kind. I generally put the trellis in the ground and plant the seeds alongside. Plant seeds 1 inch deep and 2 inches apart. Snow peas do prefer cool weather and generally stop producing when it gets hot. 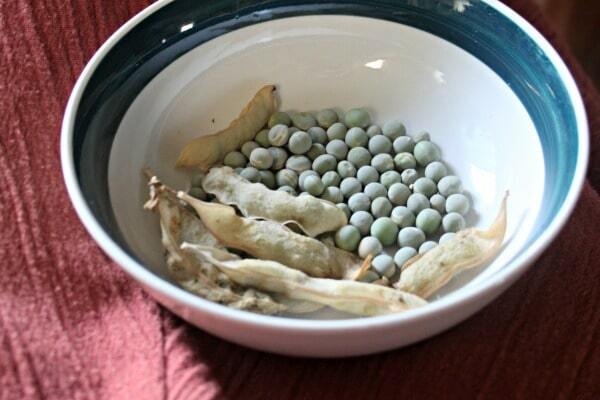 Pick snow peas when they are thin and tender, before the pea seeds form. Harvest often to keep the vines producing. If you miss the window of thin and tender pods, let those pods dry on the vine. The dried peas can be used in soups like dried beans. Let those pods dry on the vine, harvest those and shell. Lay the dried peas out on a baking sheet and let them dry completely before storing. These seeds will produce for you next year. Snow peas freeze very well. Remove the strings first then simply blanch in boiling water for two minutes, drain, let cool, and pack into freezer containers. Fresh or frozen, snow peas make for a delicious stir-fry ingredient. Combine it with beef, chicken, tofu, radishes, and more. Toss pods into soups and curries. We quite like them as a raw snack and often chop them up into pasta salads. 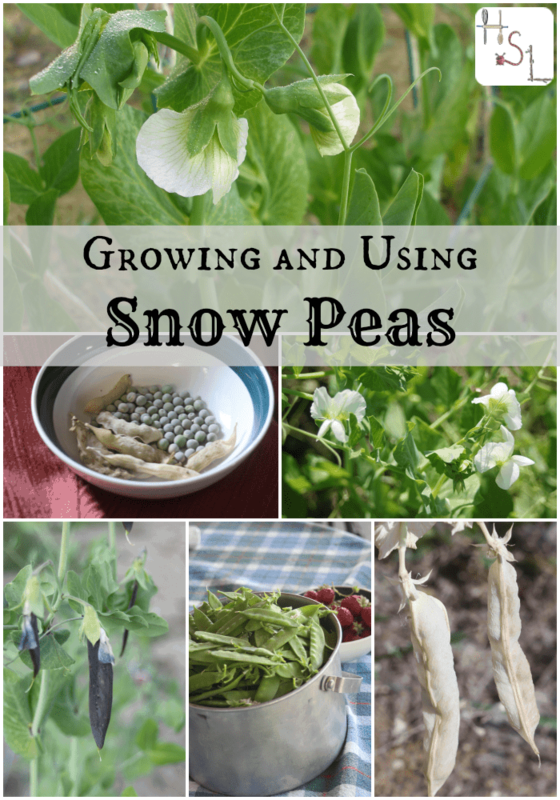 Do you grow snow peas? What's your favorite way to eat them? We’re growing snow peas for the first time and we’re just eating them in the garden as a snack. Next year I’ll have to plant more than I did this year. Thanks for the great article. I’m loving this growing and using series. I hope I have enough of a crop this year to freeze! I will have to try letting a few dry on the vine and see how they taste in soups. Thanks for the tips. The kids love to go out and eat the peas before breakfast when they’re on. If they can scrounge other veggies they call it all their crunchy V-8. I just like that they sneak veggies. That’s awesome! We used have these 3 little boys living next door (who would scrounge from our garden), one day I saw them sitting in the yard taking the snow peas apart to eat the tiny peas inside. They would create little piles and eat the shells first then the peas. Ha!